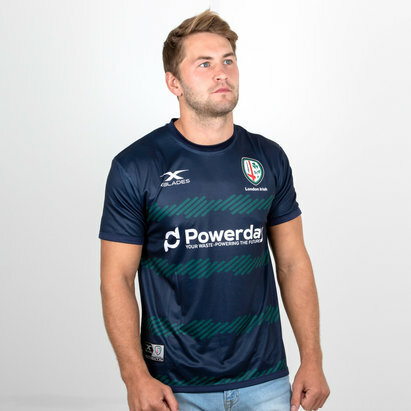 This English based club with an Irish identity needs no introduction so instead justs how where your passion lies in this London Irish 18/19 Players Rugby Training T-Shirt from X Blades. 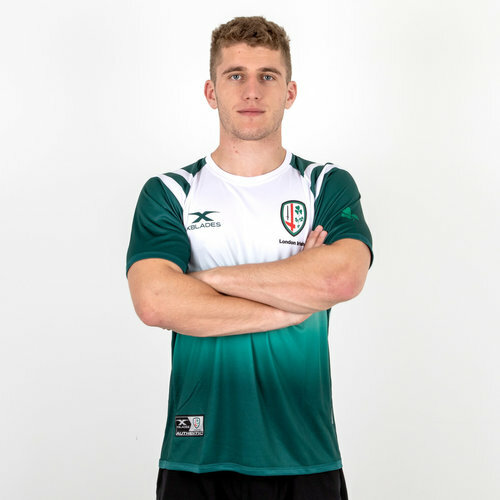 London Irish of the GreeneKing IPA Championship have competed in the Premiership of English rugby union for every season of their inception except for 2 so whilst this will be their third season they're looking forward to very much making it their last. The Exiles have teamed up with Australian manufacturer and retailer X Blades for a navy blue colourway training attire. 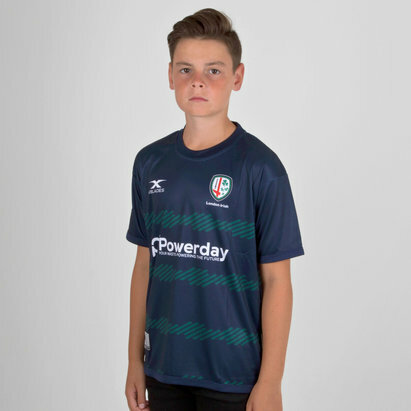 This official short sleeved training t-shirt of London Irish comes in white and fades to green towards the bottom of the shirt. The sleeves are also green and have two white stripes at the top of the shoulders. As worn by the Professional Players on a daily basis and features the brand new club badge printed upon the chest to prove to all the doubters where your loyalty lies. Made from 100% polyester material, X Blades XPF mesh moisture management technology helps keep the wearer feeling cooler, drier and more refreshed when in action by drawing sweat away from the skin and quickly drying off. Coming to us in comfortable size profile that won’t restrict movement this t-shirt features performance lycra side panels that lighten the garment and enhance breathability. 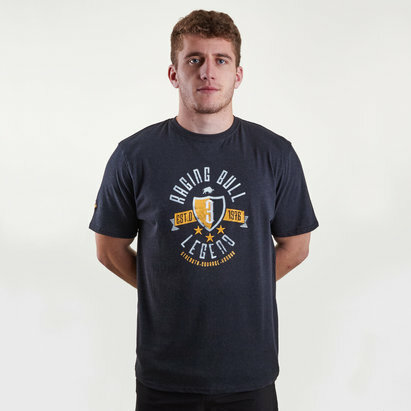 Stay cool and refreshed when you work out and fine-tune your skills on the practice pitch without ever compromising your support for the Exiles with this London Irish 2018/19 Players Rugby Training T-Shirt.